Fill a cocktail shaker with ice. Add vodka and dirty martini mix and shake. 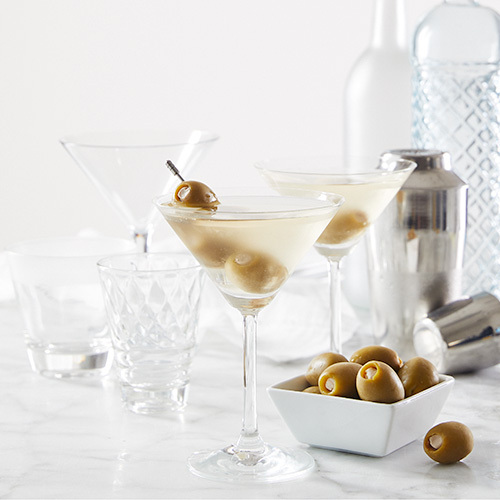 Strain into a chilled martini glass and garnish with blue cheese olives.